Sergei Vasilievich Rachmaninov was born on 1 April 1873, one of many siblings, into a noble family on the estate of Oneg in Novgorod Province, north-west Russia. Systematic music studies started when he was four years old, continuing until, at the age of nine, he was enrolled in the junior section of the Saint Petersburg Conservatoire. He transferred to the Moscow Conservatoire where he took Alexander Siloti’s piano course and then the composition course with Anton Arensky and Sergei Taneyev. On his graduation from these courses in 1891 and 1892, the Conservatoire awarded him its Grand Gold Medal and his diploma opera, Aleko, was given an enthusiastic reception by Tchaikovsky. While Tchaikovsky was an important influence on Rachmaninov’s early creative work, compositions such as the first piano concerto (1891) and the first symphony (1895) display both the young composer’s phenomenal natural talent and the distinctive originality of his thought and style. The late 1890s saw the start of a prolonged period of concert tours, with Rachmaninov travelling widely (his first international appearances were in London in 1899). Over the years Rachmaninov won worldwide reputation as Russia’s most outstanding pianist, second only to Anton Rubinstein, and one of the greatest pianists ever. Rachmaninov’s most productive period as a composer was in the first decade of the twentieth century. These years saw the creation of the second and third piano concertos (1901, 1909), which are now treasures in the piano repertoire, followed by the second symphony (1907), the pinnacle of Russian lyrical epic symphonic art which opened a new chapter in symphonic music around the world, and then The Bells (1913), based on Balmont’s translation of Poe’s poem and scored for soloists, choir and orchestra, which expresses early premonitions of the post-Revolution Russian catastrophe. In December 1917 Rachmaninov and his family left Russia for ever. (Rachmaninov had at last been able to marry his cousin Natalia Satina in 1902.) They went first to Scandinavia and then to the USA where Rachmaninov was to remain for the rest of his life, spending the summer months in Europe (until 1939). For nine years he abandoned composition and dedicated his professional life to work as a pianist. 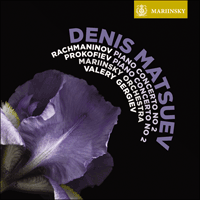 1926 marked a new zest for composition with the fourth piano concerto (which he had started writing in Russia). 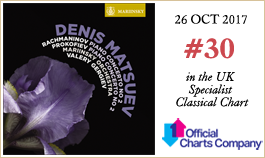 There followed, over large intervals, the other compositions grouped as ‘late Rachmaninov’: Three Russian Songs, scored for choir and orchestra (1926), infused with the dark emotional colour of Rachmaninov’s compositional idiom; Rhapsody on a Theme of Paganini (1934), scored for piano and orchestra, demonstrating an unusual harsh and percussive aspect of his favourite instrument; and the third symphony (1936) and Symphonic Dances (1940) in which the fate of Russia, battered by war, buffeted by revolution and coming to terms with the realities of the 1930s beyond her borders, is portrayed with blistering dramatic force and depth, particularly in the Symphonic Dances. Rachmaninov died of cancer, suddenly, in Beverley Hills, California, on 28 March 1943, just three days before his seventieth birthday. He left us not just his music but a huge number of recordings—Rachmaninov the pianist playing his own compositions and the music of great classical composers. His place in this pantheon of the great had long been established. Sergei Rachmaninov was in his early twenties, a rising young talent already admired by Tchaikovsky, when he suffered a grievous blow to his creativity. On 15 March 1897 (according to the old Julian calendar—28 March by the modern calendar), just short of his 24th birthday, he witnessed the disastrous premiere of his first symphony, upon which so much expectation had been riding. The conductor Glazunov, who appeared to be seriously drunk, gave by all accounts a listless and drab performance. Rachmaninov, unable to bear the humiliation, left before the performance had finished. He subsequently suffered a 'paralyzing apathy' that lasted three years: although he developed his considerable talent as conductor and pianist during that time, working at Mamontov’s Private Russian Opera (where he also became close friends with the great Russian bass singer Feodor Chaliapin), he found himself quite unable to compose. Rachmaninov’s morale reached its lowest ebb after a disastrous encounter with his ‘god’, Leo Tolstoy, who dismissed Beethoven, Pushkin and Lermontov as ‘nonsense’ and appeared to think the few pieces Rachmaninov played him were futile. Rachmaninov’s near relations, the Satin family, finally came to his rescue in 1900, persuading him to seek the help of Dr Nikolai Dahl and his innovative hypnotic treatment. Dahl himself was also an accomplished amateur cellist, and so was a particularly sympathetic specialist for Rachmaninov to consult; their four months’ worth of sessions, besides hypnosis, included long conversations on various musical topics. This, and Dahl’s reassuring mantra to his hypnotized patient—'You will start to compose a concerto … You will work with the greatest of ease … The composition will be of excellent quality'—unlocked Rachmaninov’s creativity. Rachmaninov first completed the second and final movements, and after giving their successful premiere on 2 December 1900 composed the first movement, with its literally striking opening reminiscent of Russian bell ringing. Rachmaninov’s second piano concerto in C minor presents a watershed in his creativity. Hitherto his music had followed the more overtly lively style of the Russian nationalist school, as represented by Glazunov and such forebears as Balakirev (Glazunov’s one-time mentor) and Borodin. It is perhaps significant that Rachmaninov’s last essay in that style—his first symphony—was not only shipwrecked by its appalling performance under Glazunov’s direction, but suffered the coup de grace from that school’s chief spokesman, Cesar Cui, who in his published review infamously rubbished the work as worthy of a talented student from a conservatory in Hell. In his new Concerto, then, it is no surprise to find Rachmaninov retreating from the colourful style of Glazunov and his school, recalling instead the strains of old Orthodox Russia that he had known first-hand since childhood. Rachmaninov’s early life had been disrupted by his father—a fantasist and unfaithful husband who squandered the family’s fortune, then finally left his wife and children after one of his daughters, Sophia, died of diphtheria. Rachmaninov was then taken care of by his maternal grandmother, Sophia Butakova. The Orthodox Church services in St Sophia Cathedral, Novgorod, to which she regularly took Rachmaninov, are almost certainly recalled in the first movement of his second concerto: first, we hear the bells tolling in the pianist’s introduction, and then a plainchant-style melody played by the orchestra. Having presented this scene, the music briefly erupts and makes way for a quieter episode in which the pianist introduces a second theme—rising, wistful yet optimistic—to be heard in various guises throughout the concerto. A third theme emerges in the course of the development section, closely related to both the earlier themes and itself thrown to prominence in the final pages of the movement. The second movement opens with the orchestra transporting us from the home key of C minor to the remote key of E major, where the solo pianist begins a dream-like reminiscence: here Rachmaninov reused the opening bars of a Romance he had written in 1891 for the Skalon sisters—charming female relations of his with whom he had spent that late summer at the country estate of Ivanovka. A flute solo floats its theme above the piano’s arpeggiated accompaniment, heightening the music’s dream-like character by following a slightly different beat from the pianist’s. The mood is tender until the music becomes briefly agitated, then returns to its former mood, playing out to an extended mood of aching nostalgia. Note how the pianist then finally spells out the relationship between the arpeggiated opening and the first movement’s rising second theme. The finale, brisk and business-like at first, eventually introduces a more melodious second theme, in the course of which—unmistakably—the rising theme featured so prominently in the previous two movements now reappears. It is that theme which is finally raised in a triumphant apotheosis, before the final flourish by pianist and orchestra. An iconoclastic composer-pianist with two piano concertos to his credit, Serge Prokofiev graduated from the St Petersburg Conservatory in 1914. After the October Revolution he left Russia, eventually arriving in the United States where he composed his opera Love for Three Oranges. Moving to Germany, he composed his expressionist opera Fiery Angel. He then settled in Paris where he composed his Symphony No 2; this impressed Diaghilev, who commissioned a ballet about the industrialisation of the Soviet Union, Le pas d’acier. Though successful in Western Europe and the United States, the ballet was branded 'counter-revolutionary' and effectively banned in Russia by the Russian Association of Proletarian Musicians (RAPM). Badly shaken by this rejection, Prokofiev developed a 'new simplicity', intended to be readily understood by a wide audience, and composed his last and possibly greatest ballet for Diaghilev: The Prodigal Son (1929). After the suppression of the RAPM, Prokofiev increasingly visited Russia in the 1930s, receiving Soviet commissions for Lieutenant Kijé and his ballet Romeo and Juliet. Prokofiev finally settled with his family in Moscow in 1936. While Peter and the Wolf and Alexander Nevsky enjoyed popular success, a more anguished style, reflecting the trauma of Stalin’s 'Terror' in the 1930s (largely responsible for the breakdown of his marriage), appears in Prokofiev’s first violin sonata and piano sonatas Nos 6-8. During World War II, when such dark emotions were more acceptable, Prokofiev composed his fifth symphony. However, his more explicitly tragic sixth symphony was cited as evidence that Prokofiev was an anti-Soviet 'formalist', and his music was effectively banned. Prokofiev, by now in poor health, regained official rehabilitation before his death with the cantata On Guard for Peace and Symphony No 7. Sergei Prokofiev was still a student at the St Petersburg Conservatory when he began composing his second piano concerto late in 1912. Once completed in the summer of the following year, he dedicated the concerto to the memory of his close friend, the young pianist Maximilian Schmidthoff. The two students had first met in the spring of 1909, just months before the death of Prokofiev’s father from a particularly painful form of cancer. A year younger than Prokofiev, ‘Max’ was highly intelligent with a caustic wit that the composer found deeply attractive. At the time of their meeting Prokofiev was just beginning to develop a more sinister streak in his music with such pieces as ‘Suggestion diabolique’; Max’s character, combined with the creative freedom Prokofiev gained with his graduation from the composition course that summer, and possibly also the trauma of his father’s death, all seem to have encouraged the development of this sardonic vein in his music. In Prokofiev’s second piano concerto one may hear this combined with his determination to write one of the most technically challenging works in the piano concerto repertory. Prokofiev was just finishing the score late in April 1913 when he received a note from his friend in Terioki, outside St Petersburg on the Finnish Gulf: 'Dear Seryozha, I’m writing to tell you the latest news—I have shot myself. Don’t get too upset but take it with indifference, for in truth it doesn’t deserve anything more than that. Farewell. Max. The reasons are unimportant.' As Prokofiev subsequently discovered, Max had run into financial difficulties because of his extravagant lifestyle, and had killed himself rather than face social disgrace. It is unlikely that Prokofiev’s feelings at this late stage would have been reflected in the concerto; nonetheless, when he premiered it in August 1913 at the Vauxhall Pavilion in Pavlovsk, its listeners were, according to the sympathetic and perceptive critic Vyacheslav Karatïgin, 'frozen with fright, hair standing on end'. Following the Russian Revolution, the concerto’s orchestral score was lost. Prokofiev therefore revised it prior to its first Paris performance on 8 May 1924, working from the surviving piano score. The publication of Prokofiev’s diaries early this century has cast some light on the nature of those revisions, including the fact that the second movement scherzo originally had a central trio section: significantly, there is no such respite in Prokofiev’s final version. Altogether the second concerto is a deeply fraught work in which purely musical matters of structure often appear to be ruptured by a highly expressive ‘extra-musical’ programme. Its opening is deceptively low-key yet portentous, a bass line pizzicato reinforced by clarinet sounding like a ground bass passacaglia, that musical symbol of implacable fate. The soloist, apparently oblivious of this, enters playing a theme marked ‘narrante’, as if telling a story. Very soon, though, the music becomes more forthright, appearing to evoke Rachmaninov’s piano concertos or even Isle of the Dead, a work Prokofiev greatly admired. More characteristic of Prokofiev is the second theme, wryly humorous with grotesque ‘wrong-note’ harmonies. None of this prepares us for one of the most extraordinary cadenzas in piano concerto literature: combining the functions of development section and recapitulation, the soloist’s part becomes more and more demanding: molto espressivo—fff precipitato—con effetto—colossale—con tutta forza. At last, the orchestra surges back in, brass balefully playing the ‘fate’ theme fortissimo. There is no slow movement to offer respite, but instead a scherzo second movement in which the soloist plays from beginning to end a relentless stream of semi-quavers, resembling, in Robert Layton’s vivid phrase, 'some virtuoso footballer who retains the initiative while the opposing team (the orchestra) all charge after him'. The third movement, firmly back to the home key of G minor, presents a sarcastically grotesque procession. The finale begins as a frenetic scherzo, the orchestra in apparent pursuit of the pianist. All suddenly comes to a halt, the pianist, unaccompanied, playing soft yet dissonant chords, reminiscent of late Scriabin but also possibly recalling Schoenberg’s homage to Gustav Mahler in Six Little Piano Pieces, Op 19 (Prokofiev having given the Russian premiere of Schoenberg’s Klavierstücke, Op 11, in 1911). Might this have been Prokofiev’s tribute to Max, added during his revisions prior to the Paris premiere? Sergueï Vassiliévitch Rachmaninov est né le 1er avril 1873. Issu de la noblesse, il passe ses premières années avec ses nombreux frères et sœurs dans la propriété familiale d’Oneg dans la province de Novgorod, au nord-ouest de la Russie. Dès l’âge de quatre ans, il prend ses premières vraies leçons de musique, et à neuf ans est inscrit dans les petites classes du Conservatoire de Saint-Pétersbourg. Il rejoint ensuite le Conservatoire de Moscou où il suit l’enseignement d’Alexandre Siloti pour le piano, et celui d’Anton Arenski et de Sergueï Taneyev pour la composition. Il obtient ses diplômes en 1891 et 1892, et se voit décerner la Grande Médaille d’or du Conservatoire; Aleko, opéra composé pour les épreuves de son diplôme de composition reçoit les louanges de Tchaïkovski. Si l’influence de Tchaïkovski est très sensible dans les toutes premières œuvres de Rachmaninov, le Concerto nº 1 pour piano (1891) et la Première Symphonie (1895) témoignent de ses dons innés phénoménaux, et de la profonde originalité de sa pensée et de son style. La fin des années 1890 marque le début de sa longue carrière de concertiste. Il effectue de nombreuses tournées en Russie et à l’étranger (notamment à Londres où il se produit pour la première fois en 1899). Au fil des années, Rachmaninov se forge une renommée internationale de virtuose. Il est considéré, après Anton Rubinstein, comme le plus grand pianiste russe et l’un des plus grands interprètes de l’histoire de la musique. La première décennie du XXe siècle voit Rachmaninov au sommet de sa créativité. C’est de cette période que datent: les Concertos pour piano nos 2 et 3 (1901, 1909), qui comptent aujourd’hui parmi les plus prisés du répertoire; la Symphonie nº 2 (1907), chef d’œuvre de l’art symphonique russe par son lyrisme et sa grandeur, et nouveau chapitre dans l’histoire de la musique symphonique; puis Les Cloches (1913), poème pour orchestre symphonique, chœur et solistes, d’après Edgar Allan Poe traduit par Balmont, qui annonce la catastrophe de l’après-révolution russe. En décembre 1917, Rachmaninov et sa famille quittent à jamais la Russie. (Rachmaninov est enfin parvenu à épouser sa cousine Natalia Satina en 1902.) Après la Scandinavie, ils se rendent aux États-Unis où Rachmaninov s’installe définitivement, hormis les mois d’été qu’il passe en Europe (jusqu’en 1939). Pendant neuf ans, il abandonne la composition et se consacre exclusivement au piano comme concertiste. L’année 1926 voit la reprise de son activité de compositeur avec le Concerto nº 4 (entamé en Russie). Viennent ensuite, écrites à plusieurs années d’intervalle, les œuvres les plus représentatives de sa dernière période: Trois chansons populaires russes, pour chœur et orchestre (1926), d’une écriture remarquablement sombre; Rhapsodie sur un thème de Paganini pour piano et orchestre (1934) où l’instrument favori du compositeur se fait étonnamment dur et percussif; puis la Symphonie nº 3 (1936) et les Danses symphoniques (1940) dans lesquelles le destin de la Russie, ravagée par la guerre, secouée par la révolution et prête à faire face aux réalités des années 1930 hors de ses frontières, est décrit avec une force et une profondeur dramatique impitoyables, surtout dans les Danses symphoniques. Rachmaninov meurt subitement d’un cancer à Beverley Hills en Californie, le 28 mars 1943, trois jours avant son soixante-dixième anniversaire. Il laisse derrière lui non seulement ses compositions mais un nombre considérable d’enregistrements—où il interprète au piano tant ses propres compositions que celles des grands compositeurs classiques. Sa place au panthéon de la musique lui est assurée depuis longtemps. À un peu plus de vingt ans, Serge Rachmaninov était un jeune talent montant que Tchaïkovski admirait déjà lorsque sa créativité prit un coup sévère. Le 15 mars 1897 (selon l’ancien calendrier julien—28 mars selon le calendrier moderne), juste avant son vingt-quatrième anniversaire, il assista en effet à la création désastreuse de sa Première Symphonie, dont il attendait tellement. D’après tous les témoignages, le chef d’orchestre, Glazounov, qui semblait passablement ivre, en donna une interprétation molle et terne. Rachmaninov, incapable de supporter l’humiliation, partit avant la fin. Il souffrit ensuite d’une «apathie paralysante» qui dura trois mois: s’il put développer pendant ce temps ses talents considérables de chef et de pianiste, travaillant à l’Opéra russe privé de Mamontov (où il se lia aussi d’amitié avec la grande basse russe Fiodor Chaliapine), il se trouva complètement incapable de composer. Son moral était au plus bas après une rencontre malheureuse avec son «dieu», Léon Tolstoï, qui rejetait Beethoven, Pouchkine et Lermontov, qu’il trouvait «absurdes», et semblait penser que les quelques pièces que Rachmaninov lui joua étaient futiles. Les Satine, proches parents de Rachmaninov, vinrent finalement à son secours en 1900, le persuadant de solliciter l’aide du docteur Nikolaï Dahl et de son innovant traitement par hypnose. Dahl lui-même était aussi un violoncelliste amateur accompli, et donc un spécialiste particulièrement bien disposé envers Rachmaninov; leurs quatre mois de séances, outre l’hypnose, comprenaient de longues conversations sur divers sujets musicaux. Tout cela, ajouté à la formule rassurante que Dahl répétait à son patient—«Vous commencerez à composer un concerto … Vous travaillerez avec la plus grande aisance … La composition sera d’excellente qualité»—, déverrouilla la créativité de Rachmaninov. Il acheva d’abord le deuxième et le dernier mouvement, et, après en avoir donné la création avec succès le 2 décembre 1900, composa le premier mouvement, avec son début littéralement frappant qui évoque des sonneries de cloches russes. Le Deuxième Concerto pour piano en ut mineur de Rachmaninov est une ligne de partage dans sa créativité. Jusque-là, sa musique suivait le style plus franchement animé de l’école nationaliste russe, représenté par Glazounov et des précurseurs comme Balakirev (l’ancien mentor de Glazounov) et Borodine. Il est peut-être significatif que le dernier essai de Rachmaninov dans ce style—sa Première Symphonie—ait non seulement été naufragé par l’interprétation consternante donnée sous la direction de Glazounov, mais ait reçu le coup de grâce du principal porte-parole de cette école, César Cui, qui, dans la tristement célèbre critique qu’il publia, descendit l’œuvre en flammes, la jugeant digne d’un élève talentueux d’un conservatoire aux enfers. Dans son nouveau concerto, il n’est donc pas surprenant de voir Rachmaninov s’éloigner du style haut en couleur de Glazounov et de son école pour évoquer plutôt les accents de l’ancienne Russie orthodoxe, dont il avait une connaissance directe depuis l’enfance. La jeunesse de Rachmaninov avait été perturbée par son père—mari fantasque et infidèle qui dilapida la fortune familiale, puis finit par quitter femme et enfants après la mort de l’une de ses filles, Sophia, de la diphtérie. Rachmaninov fut ensuite élevé par sa grand-mère maternelle, Sophia Boutakova. Le premier mouvement de son Deuxième Concerto évoque presque certainement les services religieux orthodoxes de la cathédrale Sainte-Sophie de Novgorod, où sa grand-mère l’emmena régulièrement: on entend d’abord les cloches qui sonnent dans l’introduction du piano, puis une mélodie en style de plain-chant jouée par l’orchestre. Après avoir présenté ce tableau, la musique jaillit brièvement et amène un épisode plus tranquille, dans lequel le pianiste introduit un deuxième thème—ascendant, mélancolique, mais néanmoins optimiste—, qu’on entendra sous divers atours tout au long du concerto. Un troisième thème émerge au cours du développement, étroitement apparenté aux deux précédents, et ensuite mis en avant dans les dernières pages du mouvement. Au début du deuxième mouvement, l’orchestre nous transporte de la tonalité principale, ut mineur, à la tonalité éloignée de mi majeur, où le piano solo plonge dans une réminiscence onirique: Rachmaninov réutilise ici les premières mesures d’une Romance qu’il avait écrite en 1891 pour les sœurs Skalon—de charmantes cousines avec qui il avait passé la fin de l’été dans la propriété campagnarde d’Ivanovka. Une flûte solo fait flotter son thème au-dessus de l’accompagnement arpégé du piano, soulignant le caractère rêveur de la musique en suivant une battue légèrement différente de celle du piano. Le climat est tendre, jusqu’à ce que la musique s’agite brièvement avant de revenir à l’ambiance première, se déployant dans une atmosphère de douloureuse mélancolie qui se prolonge. On notera que le piano explicite finalement la relation entre le début arpégé et le deuxième thème ascendant du premier mouvement. Le finale, vif et sérieux au départ, introduit ensuite un deuxième thème plus mélodieux, au cours duquel—instantanément reconnaissable—réapparaît maintenant le thème ascendant qui occupait une telle place dans les deux mouvements précédents. C’est ce thème qui s’élève finalement en apothéose triomphale, avant l’envolée finale du piano et de l’orchestre. Compositeur-pianiste anticonformiste, Serge Prokofiev a déjà deux concertos pour piano à son actif lorsqu’il termine ses études au Conservatoire de Saint-Pétersbourg en 1914. Après la révolution d’Octobre il quitte la Russie et finit par atteindre les États-Unis, où il compose L’Amour des trois oranges pour la scène lyrique. Plus tard, on le retrouve en Allemagne, où il termine un opéra expressionniste, L’Ange de feu. Il est ensuite à Paris, où il écrit sa Symphonie nº 2; impressionné par cette deuxième œuvre symphonique, Diaghilev commande à Prokofiev un ballet sur le thème de l’industrialisation de l’Union soviétique, Le Pas d’acier. Malgré son succès en Europe de l’Ouest et aux États-Unis, le ballet est jugé «contre-révolutionnaire» et, de fait, interdit en Russie par l’Association russe des musiciens prolétaires (l’ARMP). Ébranlé par ces attaques, Prokofiev déploie une «nouvelle simplicité» de style destinée à faire apprécier sa musique d’un plus large public et compose Le Fils Prodigue (1929), son dernier ballet pour Diaghilev—sans doute le plus grand. Après la dissolution de la RAPM dans les années 1930, Prokofiev se rend de plus en plus fréquemment en Russie, et c’est à la demande des autorités soviétiques qu’il écrit Lieutenant Kijé et le ballet Roméo and Juliette. Il finit par s’installer à Moscou avec sa famille en 1936. Alors que Pierre et le loup et Alexandre Nevski connaissent un grand succès populaire, un style plus angoissé, reflétant le traumatisme de la «Grande Terreur» stalinienne des années 1930 (largement responsable de l’échec de son mariage), se fait jour dans la Sonate pour violon nº 1 et les Sonates pour piano nos 6-8. Prokofiev compose sa Symphonie nº 5 durant la Deuxième Guerre mondiale, heure à laquelle ce type de gravité est plus acceptable, mais sa Symphonie nº 6, au ton plus explicitement tragique, lui vaut d’être accusé de «formalisme» antisoviétique, et sa musique se voit, en fait, interdite. Prokofiev, qui est alors déjà en mauvaise santé, se verra officiellement réhabilité avant sa mort avec la cantate La Garde de la Paix et sa Symphonie nº 7. Serge Prokofiev était encore étudiant au Conservatoire de Saint-Pétersbourg quand il se mit à composer son Deuxième Concerto pour piano à la fin de 1912. Après l’avoir achevé au cours de l’été de l’année suivante, il le dédia à un ami proche, le jeune pianiste Maximilien Schmidthov. Les deux étudiants s’étaient rencontrés au printemps de 1909, quelque mois seulement avant que le père de Prokofiev ne meure d’une forme particulièrement douloureuse de cancer. D’un an le cadet de Prokofiev, «Max» était un jeune homme extrêmement intelligent, à l’esprit caustique, que le compositeur trouvait profondément attachant. Au moment de leur rencontre, Prokofiev commençait tout juste à cultiver une facette plus sombre dans sa musique, avec des pièces comme Suggestion diabolique; le caractère de Max, allié à la liberté créatrice que Prokofiev avait trouvée en terminant ses études de composition au cours de l’été, et peut-être aussi au traumatisme de la mort de son père—tout cela semble avoir encouragé le développement de cette veine sardonique dans sa musique. On peut l’entendre dans son Deuxième Concerto pour piano, à quoi s’ajoute sa détermination d’écrire l’une des œuvres les plus techniquement difficiles du répertoire concertant. Prokofiev venait de terminer la partition à la fin d’avril 1913 quand il reçut de son ami un billet écrit de Terioki, non loin de Saint-Pétersbourg sur le golfe de Finlande: «Cher Serioja, Je t’écris pour te donner les dernières nouvelles—je me suis tué d’une balle. Ne te tracasse pas trop, mais prends-le avec indifférence, car en vérité cela ne mérite rien de plus. Adieu. Max. Les raisons sont sans importance.» Comme Prokofiev l’apprit par la suite, Max s’était heurté à des difficultés financières en raison de son mode de vie extravagant et s’était donné la mort plutôt que d’affronter le déshonneur social. Il est peu probable que les sentiments de Prokofiev à ce stade tardif se soient reflétés dans le Concerto; néanmoins, quand il en donna la création en août 1913 au pavillon Vauxhall de Pavlovsk, les auditeurs, d’après la critique bienveillante et perspicace de Viatcheslav Karatyguine, étaient «figés par la peur, les cheveux dressés sur la tête». Après la Révolution russe, la partition d’orchestre du Concerto fut perdue. Prokofiev révisa donc l’œuvre avant la première audition à Paris le 8 mai 1924, travaillant d’après la partition pour piano, qui avait survécu. La publication du journal de Prokofiev au début de ce siècle a jeté un peu de lumière sur la nature de ces révisions, notamment sur le fait que le deuxième mouvement, Scherzo, avait à l’origine un trio central: il est significatif qu’il n’y ait pas de tel répit dans la version définitive. Dans l’ensemble, le Deuxième Concerto est une œuvre pleine de tension, dans laquelle les questions purement musicales de structure semblent souvent perturbées par un programme «extramusical» hautement expressif. Le début en est d’une sobriété trompeuse, mais grave: une ligne de basse pizzicato renforcée par la clarinette, qui sonne comme une passacaille sur une basse obstinée, symbole musical du destin implacable. Le soliste, qui n’en a apparemment pas conscience, entre en jouant un thème marqué narrante, comme s’il racontait une histoire. Très bientôt, cependant, la musique devient plus directe, semblant évoquer les concertos pour piano de Rachmaninov, ou même son Île des morts, une œuvre que Prokofiev admirait vivement. Le deuxième thème est plus caractéristique de Prokofiev, d’un humour narquois, avec de grotesques «fausses notes» dans l’harmonie. Rien de tout cela ne nous prépare à l’une des plus extraordinaires cadences de toute la littérature du concerto pour piano: combinant les fonctions de développement et de réexposition, la partie soliste devient de plus en plus exigeante : molto espressivo—fff precipitato—con effetto—colossale—con tutta forza. À la fin, l’orchestre refait irruption, les cuivres jouant d’un air menaçant le thème du «destin» fortissimo. Il n’y pas de mouvement lent pour offrir un répit, mais un Scherzo en guise de deuxième mouvement, dans lequel le soliste joue du début à la fin un flot incessant de doubles croches qui font songer, pour citer le mot frappant de Robert Layton, «à un footballeur virtuose qui garde l’initiative alors que l’équipe adverse (l’orchestre) toute entière se précipite sur lui». Le troisième mouvement, qui revient solidement à la tonalité principale de sol mineur, présente un cortège sarcastique et grotesque. Le finale débute comme un scherzo frénétique, l’orchestre semblant poursuivre le piano. Tout s’arrête soudain, le pianiste jouant sans accompagnement des accords doux mais dissonants, qui rappellent le dernier Scriabine, mais peut-être aussi l’hommage de Schoenberg à Gustav Mahler dans ses Six Petites pièces pour piano op.19 (Prokofiev avait donné la première audition en Russie des Klavierstücke op.11 de Schoenberg en 1911). Pourrait-ce être l’hommage de Prokofiev à Max, ajouté au moment des révisions qu’il fit avant la première audition à Paris? Sergei Wassiljewitsch Rachmaninow kam am 1. April 1873 auf dem Landsitz Oneg in der Provinz Nowgorod im Nordwesten Russlands zur Welt; er war eines von insgesamt sechs Kindern einer Gutsbesitzerfamilie. Mit vier Jahren erhielt er den ersten systematischen Musikunterricht, den er ab dem Alter von neun Jahren an der Jugendabteilung des Konservatoriums in St. Petersburg fortsetzte. Von dort ging er ans Konservatorium in Moskau, wo er an Alexander Silotis Klavierunterricht teilnahm und bei Anton Arenski und Sergei Tanejew Komposition studierte. Beim Abschluss dieser Kurse 1891/1892 zeichnete ihn das Konservatorium mit der Großen Goldmedaille aus, seine als Abschlussarbeit komponierte Oper Aleko fand bei Tschaikowski begeisterte Anerkennung. Tschaikowski übte zwar einen nicht zu vernachlässigenden Einfluss auf Rachmaninows frühes Schaffen aus, dennoch verdeutlichen Werke wie das Erste Klavierkonzert 1891) und die Erste Sinfonie (1895) die überragende natürliche Begabung des jungen Komponisten und die unglaubliche Originalität, die seine Gedanken und seinen Stil auszeichnen. Ende der 1890er Jahre begann für Rachmaninow eine Phase ausgedehnter Konzertreisen (seine ersten Auslandsauftritte führten ihn 1899 nach London). Im Lauf der Jahre errang er den Ruf, der herausragendste russische Pianist zu sein und einer der großartigsten Pianisten aller Zeiten, übertroffen lediglich von Anton Rubinstein. Seine schaffensfreudigste Zeit als Komponist erlebte Rachmaninow im ersten Jahrzehnt des 20. Jahrhunderts. In den Jahren entstanden nicht nur das Zweite und das Dritte Klavierkonzert (1901 bzw. 1909), die heute zu den kostbarsten Schätzen der Klavierliteratur zählen, sondern auch die Zweite Sinfonie (1907), die den Höhepunkt der russischen episch-lyrischen sinfonischen Musik darstellt und mit der ein neues Kapitel in der sinfonischen Musik insgesamt aufgeschlagen wurde, sowie Die Glocken (1913) nach Balmonts Übersetzung von Poes Gedicht, gesetzt für Solisten, Chor und Orchester, ein Werk, das erste Vorahnungen von den verheerenden Folgen der Russischen Revolution vermittelt. Im Dezember 1917 verließen Rachmaninow und seine Familie (1902 hatte er schließlich seine Cousine Natalja Satina geheiratet) Russland für immer. Zunächst gingen sie nach Skandinavien und von dort in die USA, wo Rachmaninow bis an sein Lebensende blieb, auch wenn er bis 1939 die Sommermonate in Europa verbrachte. Neun Jahre lang gab er das Komponieren völlig auf und widmete sich ausschließlich seiner Arbeit als Pianist. 1926 regte sich allerdings sein Kompositionsgeist wieder, es entstand das Vierte Klavierkonzert (mit dem er noch in Russland begonnen hatte). In zeitlich großen Abständen folgten dann weitere Werke, die als „später Rachmaninow“ gelten: Drei russische Volkslieder, gesetzt für Chor und Orchester (1926), die ganz von der dunklen Gefühlswelt der Musiksprache Rachmaninows geprägt sind, Rhapsodie über ein Thema von Paganini (1934) für Klavier und Orchester, die das Lieblingsinstrument des Komponisten in ein ungewöhnlich hartes Licht rückt und seine perkussiven Eigenschaften herausarbeitet, sowie die Dritte Sinfonie (1936) und die Sinfonischen Tänze (1940). In beiden Werken, insbesondere allerdings in den Sinfonischen Tänzen, wird das Schicksal Russlands, das vom Krieg geschunden, von der Revolution zerrüttet und sich in die weltpolitischen Realitäten der 1930er Jahre einzufinden versucht, mit atemberaubender dramatischer Kraft und Tiefe dargestellt. Rachmaninow starb unerwartet am 28. März 1943 in Beverley Hills, Kalifornien, ganze drei Tage vor seinem 70. Geburtstag. Er hinterließ uns nicht nur seine Kompositionen, sondern auch einen gewaltigen Fundus an Aufzeichnungen: der Pianist Rachmaninow als Interpret seiner eigenen Werke, aber auch der Musik großer klassischer Komponisten. Sein Platz im Pantheon der ganz Großen ist ihm schon lange gewiss. Sergei Rachmaninow war Anfang zwanzig und ein vielversprechendes Talent, dem Tschaikowski bereits seine Bewunderung ausgesprochen hatte, als seiner Kreativität ein schwerer Schlag versetzt wurde: Am 15. März 1897 (nach dem alten julianischen Kalender, der 28. März nach unserem heutigen Kalender), kurz vor seinem 24. Geburtstag, wohnte er der katastrophalen Premiere seiner Ersten Sinfonie bei, in die er so große Hoffnungen gesetzt hatte. Der Dirigent Glasunow, der offenbar stark unter Alkoholeinfluss stand, brachte allen Berichten zufolge eine lustlose und dröge Aufführung zu Gehör. Unfähig, die Demütigung zu ertragen, verließ Rachmaninoff das Konzert, noch ehe es zu Ende ging, und litt in den folgenden drei Jahren an einer „lähmenden Apathie“. Obwohl er in der Zeit seine beträchtliche Begabung als Dirigent und Pianist ausschöpfte und an Mamontows Russischen Privatoper arbeitete (wo er sich auch mit dem großen russischen Bassisten Fjodor Schaljapin befreundete), konnte er doch keine Zeile komponieren. Den absoluten moralischen Tiefpunkt erreichte er nach einer Begegnung mit seinem „Gott“ Leo Tolstoi, der Beethoven, Pushkin und Lermontow als „Unsinn“ abtat und die wenigen Stücke, die Rachmaninoff ihm vorspielte, anscheinend für belanglos befand. 1900 schließlich bekam Rachmaninow Hilfe aus seiner Verwandtschaft: Die Familie Satin überredete ihn, Dr. Nikolai Dahl aufzusuchen, der eine neuartige hypnotische Behandlung entwickelt hatte. Dieser empfahl sich als Facharzt für Rachmaninows Leiden auch deshalb, weil er selbst ein fähiger Amateur-Cellist war, und in den vier Monaten der Behandlung fanden nicht nur Hypnosesitzungen statt, die beiden Männer unterhielten sich auch ausführlich über verschiedene musikalische Themen. Dies sowie Dahls ermutigende Formel, die er Rachmaninow unter Hypnose zuflüsterte—„Du wirst dein Konzert schreiben … Du wirst mit großer Leichtigkeit arbeiten … Das Konzert wird von exzellenter Qualität sein“—, löste seine schöpferische Blockade. Rachmaninow beendete zunächst den zweiten und den letzten Satz, und nach deren erfolgreichen Premiere am 2. Dezember 1900 komponierte er auch den Kopfsatz mit seiner eindrücklichen Einleitung, die an das Läuten russischer Glocken erinnert. Rachmaninows Zweites Klavierkonzert in c-Moll stellt einen Wendepunkt in seinem Schaffen dar. Bislang hatte sich seine Musik eher an den leicht vordergründig lebhaften Stil der nationalrussischen Schule angelehnt, wie etwa Glasunow und dessen Vorgänger Balakirew (Glasunows ehemaliger Mentor) und Borodin sie vertraten. Es mag vielsagend sein, dass Rachmaninows letztes Werk in diesem Stil—seine Erste Sinfonie—nicht nur wegen der entsetzlichen Aufführung unter Glasunows Leitung zum Fiasko geriet, sondern zudem den Todesstoß durch den führenden Kritiker dieser Schule erhielt: Cesar Cui bezeichnete die Musik in seiner berüchtigten Rezension als Schöpfung eines begabten Studenten aus einem Konservatorium der Hölle. So kommt es nicht von ungefähr, dass sich Rachmaninow in seinem neuen Konzert vom farbenfrohen Stil Glasunows und seiner Schule entfernte und auf die Weisen des alten orthodoxen Russlands zurückgriff, die er seit seiner Kindheit aus erster Hand kannte. Rachmaninows frühe Jahre waren belastet durch seinen Vater, ein Fantast und untreuer Ehemann, der das Familienvermögen verwirtschaftete und nach dem Tod der Tochter Sophia an Diphterie Frau und Kinder verließ. Daraufhin kam Rachmaninow in die Obhut seiner Großmutter mütterlicherseits, Sophia Butakowa, die mit ihm regelmäßig den orthodoxen Gottesdienst in der Sophienkathedrale in Nowgorod besuchte. Mit großer Wahrscheinlichkeit greift der Komponist im ersten Satz seines Zweiten Konzerts eben diese Eindrücke auf: In der Einleitung des Pianisten erklingen zunächst Glocken, darauf folgt im Orchester eine Choralmelodie. Nachdem derart die Szene bereitet wurde, wagt die Musik einen kurzen Ausbruch und geht dann zu einer stilleren Episode über, in der der Pianist ein zweites Thema vorstellt. Aufsteigend, sehnsüchtig und zugleich optimistisch, wird es in Variationen im Lauf des Konzerts mehrfach wiederkehren. Mit einem dritten Thema wartet die Durchführung auf, es ist eng mit den beiden vorhergehenden Themen verbunden und drängt auf den letzten Seiten des Satzes in den Vordergrund. Im zweiten Satz entführt uns das Orchester von der Grundtonart c-Moll in das entfernte E-Dur, wo der Solopianist eine verträumte Erinnerung spinnt. Hier verwendete Rachmaninow erneut die einleitenden Takte einer Romanze, die er 1891 für die Skalon-Schwestern geschrieben hatte—reizende Verwandte, mit denen er in dem Jahr den Spätsommer auf dem Landsitz Iwanowkas verbracht hatte. Eine Soloflöte lässt ihr Thema über der arpeggierten Klavierbegleitung schweben, und zwar in einem leicht versetzten Schlag zum Klavier, was den traumartigen Charakter noch steigert. Die vorherrschende zärtliche Stimmung wird kurzzeitig von erregterer Musik aufgestört, setzt sich aber wieder durch und endet in einer längeren Phase schmerzlicher Nostalgie. Bemerkenswert ist, wie der Pianist schließlich die Verbindung zwischen der arpeggierten Einleitung und dem aufsteigenden zweiten Thema des ersten Satzes herausarbeitet. Im anfangs forschen, geschäftsmäßigen Finale wird nach einer Weile ein melodiöseres zweites Thema eingeführt, in dessen Verlauf unüberhörbar wieder das aufsteigende Thema einsetzt, das sich bereits in den beiden vorhergehenden Sätzen Raum griff. Und eben dieses Thema schwingt sich zu guter Letzt zu einer triumphierenden Apotheose auf, bis Pianist und Orchester mit der abschließenden Fanfare aufwarten. Als Komponist/Pianist und Bilderstürmer, der bereits auf zwei Klavierkonzerte verweisen konnte, schloss Sergei Prokofjew 1914 sein Studium am Konservatorium St. Petersburg ab. Nach der Oktober-Revolution verließ er Russland und gelangte schließlich in die USA, wo er seine Oper Die Liebe zu den drei Orangen komponierte. Es folgte ein Umzug nach Deutschland, dort schrieb er die expressionistische Oper Der feurige Engel, dann ließ er sich in Paris nieder und schuf seine Zweite Sinfonie. Beeindruckt bat Djaghilew ihn um ein Ballett über die Industrialisierung der Sowjetunion: Le pas d’acier (dt. Der stählerne Schritt). In Westeuropa und den Vereinigten Staaten war das Ballett ein Erfolg, wurde jedoch als „konterrevolutionär“ kritisiert und von der Russischen Assoziation Proletarischer Musiker (RAPM) verboten. Unter dem Eindruck dieses Verdikts entwickelte Prokofjew seine „neue Schlichtheit“ mit der Absicht, von einem breiten Publikum mühelos verstanden zu werden, und komponierte sein letztes und womöglich bestes Ballett für Djaghilew: Der verlorene Sohn (1929). Nach der Unterdrückung der RAPM reiste Prokofjew in den dreißiger Jahren zunehmend häufiger in die Sowjetunion und erhielt von dort den Auftrag für Leutnant Kishe sowie das Ballett Romeo und Julia. 1936 schließlich ließ er sich mit seiner Familie in Moskau nieder. Während sich Peter und der Wolf und Alexander Newski in der Allgemeinheit großer Beliebtheit erfreuten, kam in seiner Ersten Violinsonate und den Klaviersonaten Nr. 6-8 ein gequälterer Stil zum Tragen, der das Trauma von Stalins Terror in den 1930er-Jahren widerspiegelte (ein Hauptgrund für das Scheitern seiner Ehe). Während des Zweiten Weltkriegs, in dem düstere Gedanken eher vertretbar waren, komponierte Prokofjew seine Fünfte Sinfonie. Wegen seiner expliziter tragischen Sechsten Sinfonie wurde er als anti-sowjetischer „Formalist“ gebrandmarkt, seine Musik wurde verboten. Der Komponist, dessen Gesundheit mittlerweile angegriffen war, wurde vor seinem Tod aufgrund der Kantate Auf Friedenswacht und der Siebten Sinfonie offiziell wieder rehabilitiert. Sergei Prokofjew studierte noch am Konservatorium in St. Petersburg, als er Ende 1912 die Arbeit an seinem Zweiten Klavierkonzert begann. Nachdem er es im darauffolgenden Sommer abgeschlossen hatte, widmete er es dem Andenken seines guten Freundes Maximilian Schmidthoff, einem jungen Pianisten. Die beiden waren sich als Studenten im Frühjahr 1909 begegnet, wenige Monate vor dem Tod von Prokofjews Vater an einer besonders schmerzhaften Krebserkrankung. Der hochintelligente Max war ein Jahr jünger als Prokofjew und besaß einen ätzenden Humor, der den Komponisten begeisterte. Zu der Zeit entwickelte Prokofjew in seiner Musik gerade eine dunklere Qualität heraus, wie etwa das Stück „Suggestion diabolique“ sie veranschaulicht, und Max‘ Wesen sowie die kreative Freiheit, die Prokofjew durch den Abschluss des Kompositionskurses in jenem Sommer gewann, womöglich verstärkt durch die Erschütterung über den Tod seines Vaters, mögen ihn dazu veranlasst haben, diesen sardonischen Zug in seiner Musik zu verfolgen. Den kann man in seinem Zweiten Klavierkonzert heraushören, ebenso wie seine Entschlossenheit, eines der technisch anspruchsvollsten Werke im gesamten Klavierkonzert-Repertoire zu komponieren. In Lauf der Russischen Revolution ging die Orchesterpartitur des Konzerts verloren, weshalb Prokofjew das Werk anhand des noch existierenden Klavierauszugs vor der ersten Aufführung in Paris am 8. Mai 1924 überarbeiten musste. Die zu Anfang dieses Jahrhunderts veröffentlichten Tagebücher des Komponisten erhellen die Art dieser Überarbeitungen, einschließlich der Tatsache, dass der zweite Satz, Scherzo, ursprünglich einen mittleren Trioabschnitt enthielt, der in Prokofjews endgültiger Fassung bezeichnenderweise fehlt. Insgesamt ist das Zweite Konzert ein zutiefst qualvolles Werk, in dem rein musikalische Fragen des Aufbaus häufig durch ein ungemein ausdrucksstarkes „extramusikalisches“ Programm aufgebrochen werden. Es beginnt täuschend zurückhaltend und dennoch ominös—eine von Klarinetten verstärkte pizzicato-Basslinie, die wie eine Passacaglia im Grundbass klingt: das musikalische Symbol des unerbittlichen Schicksals. Scheinbar unberührt davon setzt der Solist mit einem Thema ein, das als „narrante“ ausgewiesen ist, als wollte er eine Geschichte erzählen. Sehr bald jedoch gewinnt die Musik an Unmittelbarkeit und erinnert an Rachmaninows Klavierkonzerte oder gar an seine Toteninsel, ein Werk, das Prokofjew sehr bewunderte. Typischer für den Komponisten ist das zweite, ironisch-humorvolle Thema mit grotesken Harmonien „falscher Noten“. All das bereitet uns jedoch nicht auf eine der außergewöhnlichsten Kadenzen in der Literatur der Klavierkonzerte vor: Sie verbindet die Funktionen einer Durchführung und einer Reprise, während der Part des Solisten zunehmend anspruchsvoll wird: molto espressivo—fff precipitato—con effetto—colossale—con tutta forza. Schließlich brandet das Orchester wieder herein, Blechbläser lassen fortissimo klagend erneut das Schicksalsthema aufklingen. Es gibt keinen langsamen Satz, der eine Atempause bieten könnte, vielmehr folgt ein Scherzo als zweiter Satz, in dem der Solist von Anfang bis Ende unablässig eine Abfolge von Sechzehnteln spielt und damit, um Robert Laytons bildhaften Ausdruck zu zitieren, „an einen virtuosen Fußballspieler [erinnert], der die Initiative beibehält, während das gegnerische Team (das Orchester) ihm in voller Stärke nachjagt.“ Der dritte Satz, der sich wieder in der Grundtonart g-Moll verankert, stellt eine sarkastisch-groteske Prozession dar. Das Finale beginnt als frenetisches Scherzo, wieder setzt das Orchester scheinbar dem Pianisten nach. Unvermittelt hält alles inne, der Pianist spielt unbegleitet leise, aber dissonante Akkorde, was an den späten Skrjabin erinnert, womöglich jedoch auch an Schönbergs Tribut an Gustav Mahler in den Sechs kleinen Klavierstücken op. 19 (Prokofjew hatte 1911 die russische Premiere von Schönbergs Klavierstücken op. 11 gegeben). Könnte dies womöglich Prokofjews Hommage an Max sein, die er während seiner Überarbeitung anlässlich der Pariser Premiere einfügte? Сергей Васильевич Рахманинов родился 1 апреля 1873 года в имении Онег (Новгородской губернии) в многодетной дворянской семье. Систематические занятия музыкой начал в четырехлетнем возрасте, в девять лет поступил на младшее отделение Санкт-Петербургской консерватории, затем перевелся в Московскую консерваторию, которую окончил в 1891 году по классу фортепиано (у А.И. Зилоти) и в 1892 году по классу композиции (у А.С. Аренского и С.И. Танеева) с вручением большой золотой медали. Опера «Алеко» (по А.С. Пушкину), представленная как дипломная работа, вызвала бурное одобрение П.И. Чайковского. Влияние Чайковского сказалось на раннем творчестве Рахманинова, но такие произведения, как Первый концерт для фортепиано с оркестром (1891) и особенно Первая симфония (1895) свидетельствуют не только о феноменальной природной одаренности молодого композитора, но и о ярком своеобразии его мышления и стиля. В конце 1890-х годов началась широкая концертная деятельность Рахманинова-исполнителя (первые зарубежные выступления – 1899, Лондон). С течением времени Сергей Васильевич приобретает славу крупнейшего русского пианиста после А.Г. Рубинштейна и одного из самых великих пианистов в мировой культурной истории. Интенсивность композиторского труда Рахманинова была наивысшей в первом десятилетии ХХ века. Именно тогда появились Второй и Третий концерты для фортепиано с оркестром (1901, 1909), навсегда вошедшие в золотой фонд пианистического репертуара, Вторая симфония (1907), ставшая новым словом мировой симфонической музыки и вершиной русского лирикоэпического симфонизма, Поэма для солистов, хора и оркестра «Колокола» на стихи Э. По в переводе К.Д. Бальмонта (1913), выразившая раннее предчувствие послереволюционной российской катастрофы. В декабре 1917 года Рахманинов с семьей (в 1902 году он женился на своей двоюродной сестре Н.А. Сатиной) навсегда выехал из России: сначала в Скандинавию, затем в США, где Сергей Васильевич оставался до конца жизни, проводя летние месяцы в Европе (до 1939 года). На девять лет прервалась его композиторская работа; пианистические выступления остались для Рахманинова единственным видом профессиональной жизни. Возрождение началось в 1926 году с Четвертого концерта для фортепиано с оркестром (писавшего еще в России). Далее – с заметными интервалами – последовали пять сочинений, составивших эпоху «позднего Рахманинова». Среди них – Три русские песни для хора и оркестра (1926), придавшие темный эмоциональный колорит рахманиновским композиторским идиомам, Рапсодия на тему Паганини для фортепиано с оркестром (1934), показавшая необычный, жестко-ударный облик любимого инструмента, и, наконец, Третья симфония (1936) и Симфонические танцы (1940), в которых с потрясающим драматизмом и глубиной (особенно в «Симфонических танцах») воплощена русская судьба, надломленная событиями войны и революции и соприкоснувшаяся с реальностью 1930-х годов за рубежами России. Рахманинов умер от скоротечного рака в Беверли-Хилс (Калифорния, США) 28 марта 1943 года, не дожив трех дней до семидесятилетия. С нами осталась не только его музыка, но и многочисленные записи Рахманинова-пианиста, играющего собственные сочинения и сочинения композиторов-классиков. Нет сомнений, что в ряд классиков уже давно вошел и он сам. Сергею Рахманинову было почти двадцать четыре года, когда ему, восходящей звезде, талантливому молодому композитору, которым восхищался Чайковский, был нанесен тяжелый удар, сковавший его творческие возможности. 15 марта (по старому стилю) 1897 года, за несколько дней до своего дня рождения, он присутствовал при сокрушительном провале своей Первой симфонии, на которую возлагал большие надежды. Слушатели все до единого утверждали потом, что дирижировавший Глазунов был, по всей видимости, сильно пьян и оркестр играл безжизненно и уныло. Не в силах вынести унижения Рахманинов сбежал до окончания концерта. Потом, как он говорил, его «парализовала апатия» и состояние это длилось около трех лет. И хотя именно в эти годы он развил свой незаурядный талант дирижера и пианиста, работая в Частной русской опере Мамонтова (где подружился с великим русским басом Федором Шаляпиным), сочинять музыку он не мог. Окончательный упадок душевных сил наступил после чрезвычайно неудачной встречи со Львом Толстым, которого Рахманинов боготворил. Толстой пренебрежительно отозвался о Бетховене, Пушкине и Лермонтове и, как показалось Рахманинову, счел композиции, которые тот ему сыграл, ничтожными. В конце концов, в 1900 году, на помощь Рахманинову пришли его близкие родственники – Сатины, уговорившие его обратиться за помощью к доктору Николаю Далю, который лечил новаторским в то время методом гипноза. Даль к тому же был искусный виолончелист-любитель и потому исключительно внимателен к Рахманинову – трудно было найти другого такого специалиста. Их встречи продолжались четыре месяца и помимо сеансов гипноза включали и долгие беседы о музыке. Это и само по себе, да еще в сочетании с подбадривающей «повторяющейся гипнотической формулой: «Вы начнете писать концерт... Вы будете работать с полной легкостью... Концерт получится прекрасный», вернуло Рахманинову творческие силы. Он сперва написал вторую и заключительную части, а после их премьеры, с успехом прошедшей 2 декабря 1900 года, сочинил и первую часть, с ее потрясающим началом, напоминающим русский колокольный звон. Фортепианный концерт номер 2 до минор – это рубеж в творческой деятельности Рахманинова. До тех пор его музыка следовала традиции нарочито оживленного стиля русской националистической школы, представителями которой был Глазунов и такие его предшественники как Балакирев (одно время бывший даже наставником Глазунова) и Бородин. Следует, пожалуй, отметить, что последняя попытка Рахманинова сочинять в этом ключе – его Первая симфония – была не только испорчена безобразной игрой оркестра под руководством Глазуновадирижера, но и прикончена смертельным ударом Цезаря Кюи, главного выразителя взглядов этой группы, который разнес симфонию в пух и прах, заявив в печально знаменитой рецензии: «Если бы в аду была консерватория,то г-н Рахманинов был бы первейшим из ее учеников!». Так что не было ничего удивительного, что в новом концерте Рахманинов отступил от красочного стиля Глазунова и его школы, вернувшись вместо этого к напевам старой православной Руси, столь хорошо знакомым ему с детства. Детство Рахманинова было искалечено его отцом – человеком с необузданной фантазией, который изменял жене и промотал семейное состояние, а после того, как одна из дочерей, София, умерла от дифтерита, и вовсе оставил жену и остальных детей. В воспитаниии Сергея стала играть большую роль его бабушка с материнской стороны, Софья Бутакова. Православные службы в Софийском соборе в Новгороде, куда она регулярно водила Рахманинова, почти наверняка нашли отражение в первой части его Второго концерта: сперва мы слышим колокольный звон в фортепианном введении, а затем мелодию, напоминающую григорианский хорал, играет оркестр. После этой экспозиции музыка внезапно взрывается, а затем сменяется более спокойным пассажем, во время которого пианист вводит вторую тему – возносящуюся вверх, задумчивую, но все же оптимистичную – которая в разных обличьях слышна на протяжениии всего концерта. Третья тема возникает в разделе разработки – она тесно связана с двумя предыдущими и сама обретает значительность на последних страницах этой части. Вторая часть начинается с того, что оркестр переносит нас из привычного, «домашнего» тона до минор, в куда более далекий ми мажор, где пианист как будто погружается в воспоминания -грезы. Рахманинов использует здесь начальные такты романса, написанного им в 1891 году для сестер Скалон – очаровательных родственниц, с которыми он проводил конец лета в загородном поместье Ивановка. Соло флейты плывет со своей темой над арпеджированным фортепианным аккомпаниментом, следуя ритму чуть отличающемуся от фортепианного и тем самым усиливая мечтательный характер музыки. Нежность музыки на какое-то время переходит в краткое возбуждение, а потом возращается к прежнему настроению, все сильнее погружаясь в глубины непреходящей ностальгии. И вот тут-то пианист наконец внятно разъясняет отношения между арпеджированным началом и возносящейся второй темой этой части. Финал, поначалу бодрый и деловой, постепенно вводит более мелодичную вторую тему, в развитии которой, вне всякого сомнения, вновь возникает возносящаяся вверх тема, которая так важна была в первых двух частях. Именно эту тему и подхватывает в конце ликующий апофеоз, перед тем, как заключительные аккорды пианиста и оркестра завершают концерт. Композитор, пианист, новатор, Сергею Прокофьев окончил Петербургскую консерваторию в 1914 году, уже имея на своем счету два фортепианных концерта. После Октябрьской революции он покинул Россию и через некоторое время оказался в Соединенных Штатах, где написал оперу «Любовь к трем апельсинам». Переехав в Германию, он написал еще одну – на сей раз экпрессионистскую – оперу «Огненный ангел». Затем композитор поселился в Париже, где им была создана Вторая симфония. Она произвела большое впечатление на Дягилева, который заказал Прокофьеву балет об индустриализации в Советском Союзе – «Le pas d’acier» («Стальной скок»). Хотя он имел успех в Западной Европе и США, в Советском Союзе этот балет заклеймили как «контрреволюционный», и Российская ассоциация пролетарских музыкантов (РАПМ) практически его запретила. Этот запрет сильно потряс композитора. Прокофьев создал стиль «новой простоты» в музыке, который, по его замыслу, должен был сделать музыку доступной самой широкой аудитории, и написал свой последний и, вероятно, самый великий балет для Дягилева – «Блудный сын» (1929). Когда Сергей Прокофьев стал сочинять свой Второй концерт в конце 1912 года, он был еще студентом Петербургской консерватории. Завершив концерт летом следующего года, он посвятил его памяти своего близкого друга, молодого пианиста Максимилиана Шмидтгофа. Прокофьев и Шмидтгоф познакомились будучи студентами весной 1909 за несколько месяцев до смерти отца Прокофьева, страдавшего чрезвычайно мучительной формой рака. «Макс» был на год моложе Прокофьева, необыкновенно умен и язвительно остроумен, что казалось его другу чрезвычайно привлекательным. Когда они познакомились, в музыке Прокофьева только начинали появляться мрачные черты, заметные в таких произведениях как «Наваждение», но характер Макса в сочетании с творческой свободой, которую Прокофьев обрел, закончив этим летом курс композиции, а, может быть, еще и удар, нанесенный смертью отца, способствовали развитию этой сардонической тенденции в его сочинениях. Она различима во Втором концерте вместе со стремлением композитора написать одну из наиболее технически трудных вещей среди всего репертуара фортепианных концертов. В конце апреля 1913 года, когда Прокофьев как раз завершал работу над партитурой, от Макса из Териоков – поселка на Финском заливе, под Петербургом – пришла записка: «Дорогой Сережа. Сообщаю тебе последнюю новость – я застрелился. Не огорчайся этим особенно, а отнесись к этому равнодушно. Право, большего это не заслуживает. Прощай. Макс. Причины неважны». Как узнал вспоследствии Прокофьев, расточительный образ жизни привел Макса к финансовым трудностям и он предпочел самоубийство – позору. Маловероятно, что тогдашние чувства Прокофьева нашли отражение в уже почти завершенно концерте, но тем не менее, когда в августе 1913 года в Музыкальном вокзале в Павловске состоялась его премьера, слушатели, по свидетельству тонкого и благожелательного к Прокофьеву критика Вячеслава Каратыгина, «были скованы ужасом, волосы стояли дыбом». Поле революции 1917 года оркестровая партитура концерта была утеряна. Перед первым исполнением концерта в Париже 8 мая 1924 года Прокофьеву пришлось ее основательно переработать по сохранившейся фортепианной партитуре. Публикация дневников Прокофьева в начале нынешнего века прояснила природу внесенных изменений, в том числе и то, что в середине второй части (скерцо) первоначально был раздел трио – характерно, что в окончательной редакции такой передышки нет. Вообще Второй концерт – произведение, нагруженное многими смыслами и чисто музыкальная сторона композиции часто как будто взорвана экспрессивной «внемузыкальной» программой. Начало концерта обманчиво сдержанное, однако в нем слышны грозные предвестия, басовую партию пиццикато усиливает кларнет, повторяющий басовую тему в пассакилье – музыкальном символе неумолимой судьбы. Пианист, словно не замечая происходящего, вводит тему, обозначенную как «narrante», то есть, рассказывающую историю. Однако очень скоро музыка делается более прямолинейной, как будто напоминающей фортепианные концерты Рахманинова или даже восхищавшую Прокофьева его симфоническую поэму «Остров мертвых». Вторая тема более типична для самого Прокофьева – мрачный юмор сочетается в ней с гармониями, построенными на «фальшивых нотах». Все это совершенно не подготавливает слушателя к одной из самых поразительных каденций в собрании фортепианных концертов: объединяя задачи раздела разработки и репризы, партия солиста становится все более и более трудной: molto espressivo – fff precipitato – con effetto – colossale – con tutta forze. Наконец, возвращается волна оркестра, и медные духовые мрачно и fortissimo играют тему «судьбы». Медленной части, которая давала бы возможность передышки, в концерте нет, вместо этого с начала до конца второй части (скерцо) солист безжалостным потоком обрушивает шестнадцатые доли, напоминая, как ярко выразился Роберт Лейтон, «футболиставиртуоза, который удерживает инициативу, несмотря на то, что за ним гонится вся команда противника (оркестр)». Третья часть, бесповоротно вернувшись к родному соль-минорному тону, представляет саркастически гротескное шествие. Финал начинается с бурного скерцо – оркестр явно продолжает преследование пианиста. И вдруг все останавливается: пианист без сопровождения берет тихие, но нестройные аккорды, напоминающие позднего Скрябина, но может быть также и написанные Шенбергом в честь Густава Малера «Шесть маленьких фортепианных пьес», соч.19. (В 1911 году Прокофьев впервые в России исполнил «Фортепианные пьесы» Шенберга, соч 11). А может быть, Прокофьев добавил этот финал во время переработки партитуры Второго концерта перед его парижской премьерой в память о Максе?